The Succulent Karoo is well known for being rich in species with approximately 5,000 vascular plant species, and has a high floral endemicity. In this study, we investigate the current status of the dwarf succulents of Namibia, as represented by two genera in the Aizoaceae: Conophytum (restricted distribution) and Lithops (wider distribution) and examine possible climate change impacts on these genera by studying the effects on non-rainfall moisture availability (number fog days and relative humidity). Both genera show a contraction and loss of habitat, despite their drought resistant nature and adaptation to the current arid environment. This study demonstrates that climate-change induced alterations to the number of fog days in Namibia results insignificant changes in the distribution of the dwarf succulents, and shows the Atlantic coast and Orange River areas as potential refuge areas for dwarf succulents such as Conophytum and Lithops. D. Guo, J. L. Arnolds, G. F. Midgley, and W. B. Foden, “Conservation of Quiver Trees in Namibia and South Africa under a Changing Climate,” Journal of Geoscience and Environment Protection, vol. 4(7), pp. 1-8, 2016. A. J. Young, D. Guo, P. G. Desmet, and G. F. Midgley, “Biodiversity and climate change: Risks to dwarf succulents in Southern Africa,” Journal of Arid Environments, vol. 129, pp. 16-24, 2016. Wikipedia website. (2017) [Online]. Accessed: 10-04-2017. Available: http://en.wikipedia.org/. N. Jürgens, P. G. Desmet, M. C. Rutherford, L. Mucina, and R. A. Ward, “Desert Biome,” Strelitzia, vol. 19, pp. 301-323, 2006. A. J. Young and C. Rodgerson, “The dwarf succulent genus Conophytum N.E.Br. : distribution, habitat and conservation,” Aloe, vol. 52, pp. 43-49, 2016. I. Matimati, C. F. Musil, and L. Raitt, “Non rainfall moisture interception by dwarf succulents and their relative abundance in an inland arid South African ecosystem,” Ecohydrology, vol. 6(5), pp. 818-825, 2013. J. Mendlesohn, A. Jarvis, C. Roberts, and T. Robertson, Atlas of Namibia: A portrait of the Land and Its People, David Philip Publishers, Cape Town, 2002. W. M. Connolle, and T. J. Bracegirdle, “An Antarctic assessment of IPCC AR4 coupled models,” Geophysical Research Letters, vol. 10, L22505, 2007. Max-Planck-Institut für Meteorologie.MPI-ESM [Online]. Accessed: 15-03-2016. Available: https://verc.enes.org/models/earthsystem-models/mpi-m/mpi-esm. R. J. Hijmans, S. E. Cameron, J. L.Parra, P. G. Jones, and A. Jarvis, “Very high resolution interpolated climate surfaces for global land areas,” International Journal of Climatology, vol. 25, pp. 1965-1978, 2005. G. Flato, J. Marotzke, B. Abiodun, P. Braconnot, S. C. Chou, W. Collins, P. Cox, F. Driouech, S. Emori, V. Eyring, C. Forest, P. Gleckler, E. Guilyardi, C. Jakob, V. Kattsov, C. Reason, and M. Rummukainen, “Evaluation of Climate Models,” in: T. F. Stocker, D. Qin, G. K. Plattner, M. Tignor, S. K. Allen, J. Boschung, A. Nauels, Y. Xia, V. Bex, P.M. Midgley, Ed., Climate Change 2013: The Physical Science Basis, Contribution of Working Group I to the Fifth Assessment Report of the Intergovernmental Panel on Climate Change, Cambridge University Press, Cambridge, United Kingdom and New York, NY, USA, 2013. J. Franklin, Mapping Species Distributions: Spatial Inference and Prediction, Cambridge, UK: Cambridge University Press, 2009. S. J. Phillips, R. P. Anderson, and R. E. Schapire, “Maximum entropy modeling of species geographic distributions,” Ecological Modelling, vol. 190, pp. 231-259, 2006. R. Guo, “Bayesian reliability modelling,” in International Encyclopedia of Statistical Science, M. Lovric, Ed. Springer-Verlag, Berlin, pp. 104-106, 2010. 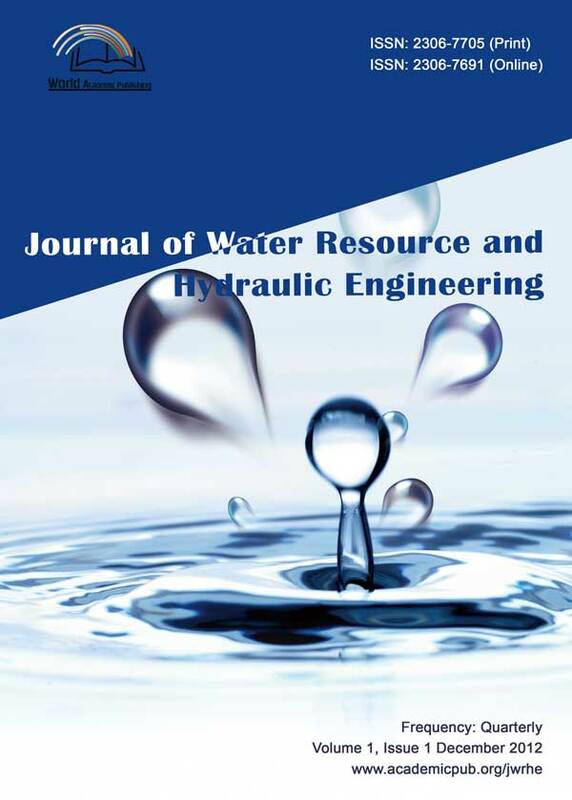 D. Guo, G. F. Midgley, Y. N. Araya, J. Silvertown, and C. F. Musil, “Climate Change Impacts on Hydrological Niches of Restionaceae Species in Jonkershoek, South Africa,” Journal of Water Resource and Hydraulic Engineering, vol. 5(1), pp. 20-28, 2016. J. Elith, S. J. Phillips, T. Hastie, M. Dudík, Y. E. Chee, and C. J. Yates, “A statistical explanation of MaxEnt for ecologists,” Diversity and Distributions, vol. 17, pp. 43-57, 2011. S. J. Phillips, M. Dudík, and R. E. Schapire, “A maximum entropy approach to species distribution modeling,” in Proc. of the 21st International Conference on Machine Learning, 2004, pp. 655-662. M. McLeish, D. Guo, S. van Noort, and G. F. Midgley. “Life on the edge: rare and restricted episodes of a pan-tropical mutualism adapting to drier climates,” New Phytologist, vol. 191(1), pp. 210-222, 2011. D. Guo, G. F. Midgley, J. Ayuk, and C. F. Musil, “Hydrological Niche of Restionaceae Species in Silvermine, South Africa,” Journal of Water Resource and Hydraulic Engineering, vol. 4(3), pp. 286-292, 2015. South African National Biodiversity Institute (SANBI). Red List of South African Plants. Threatened Species Programme. (2017) [Online]. Accessed: 17-05-2017. Available: http://redlist.sanbi.org/index.php.